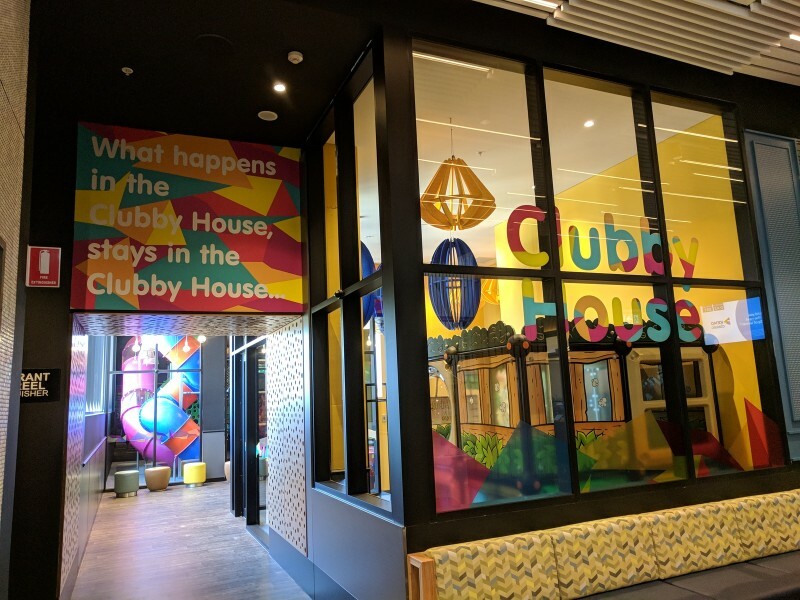 The rise of clubs and hotels with play areas is a fantastic thing for families. 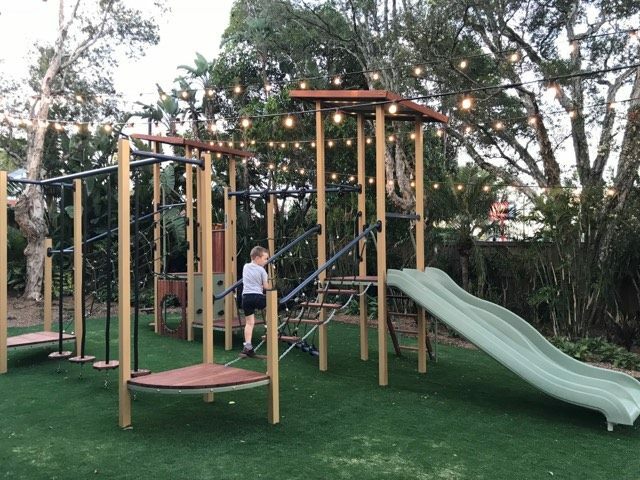 The fact that kids can happily play while mum and dad enjoy their dinner and a drink in peace = WINNING! 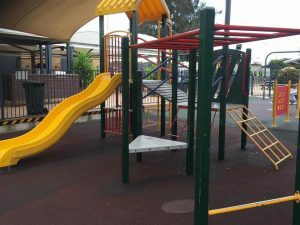 Here is a list of 37 Clubs and Hotels in and around the City of Parramatta that have a kids play area. 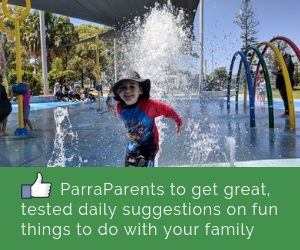 All are FREE to use except one, which has a small charge but they supervise your kids! The list is divided into clubs/ hotels with INDOOR or OUTDOOR play areas and is presented in alphabetical order. 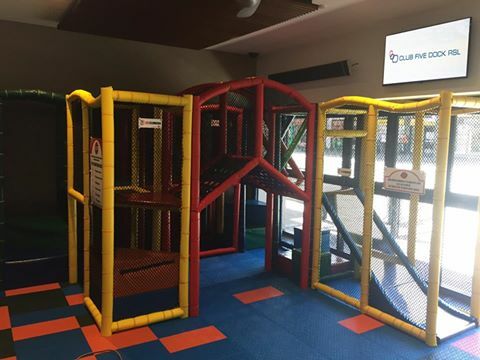 For each club/ hotel, we have listed the times you can access the play areas, which are usually when the bistro/ restaurant is open. In time, we will provide more information and photos of each one. 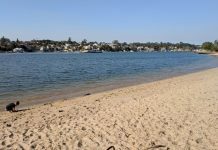 For other options across Sydney, check out Little Munch’s list or this top 10 list from Little Eats. And at the bottom, is a calendar listing of some of the kids activities taking place at the clubs/ hotels. 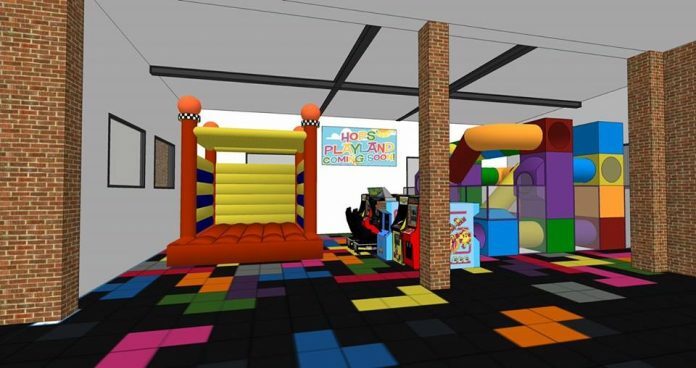 The indoor Hop’s Playland has a jumping castle, arcade games and play equipment. 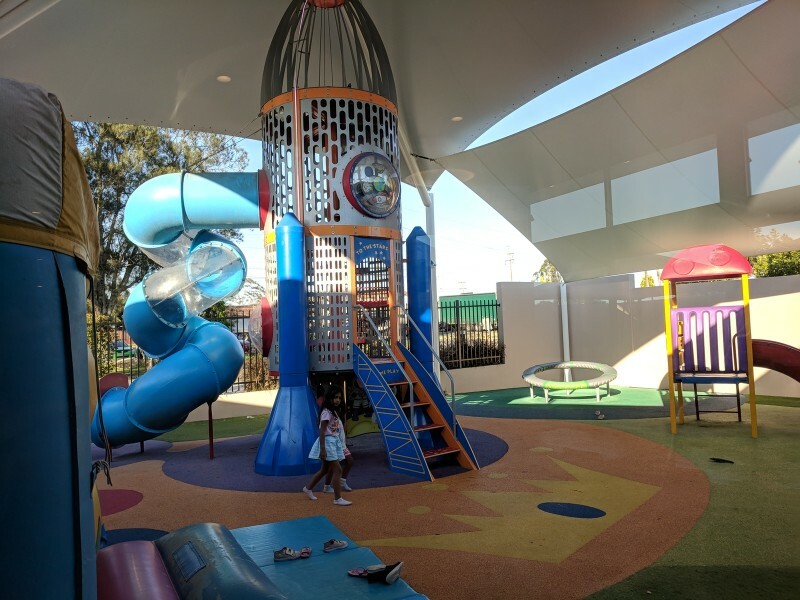 In 2017, Blacktown Bowling Club completed a $2m renovation and there is now a three-level, indoor playground structure with an “Under The Sea” theme. 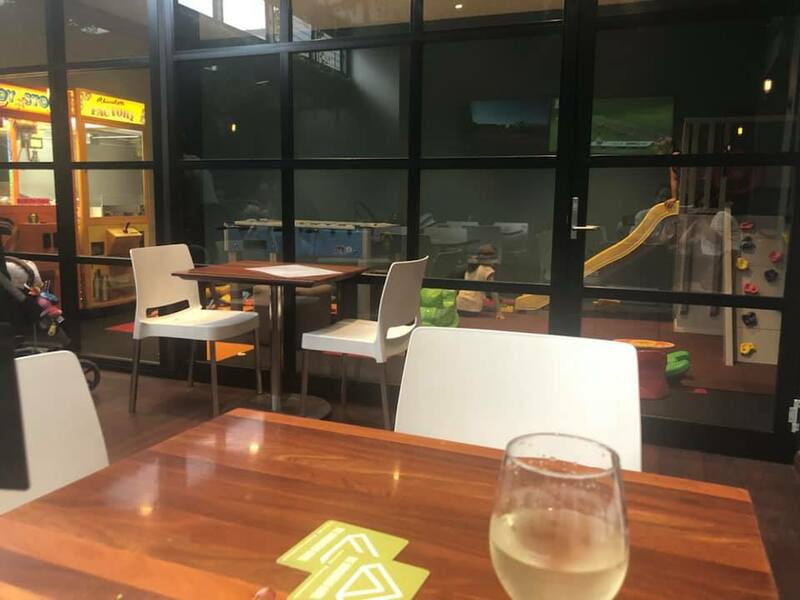 It’s at the Terrazzo Verdi Restaurant and Cafe and there is loads of free parking, easy pram/wheelchair access and convenient baby changing facilities. Kids eat free on Monday evenings. 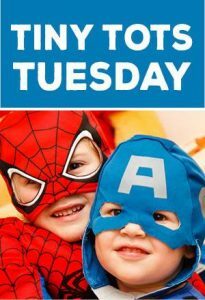 Kids eat free every Thursday night. 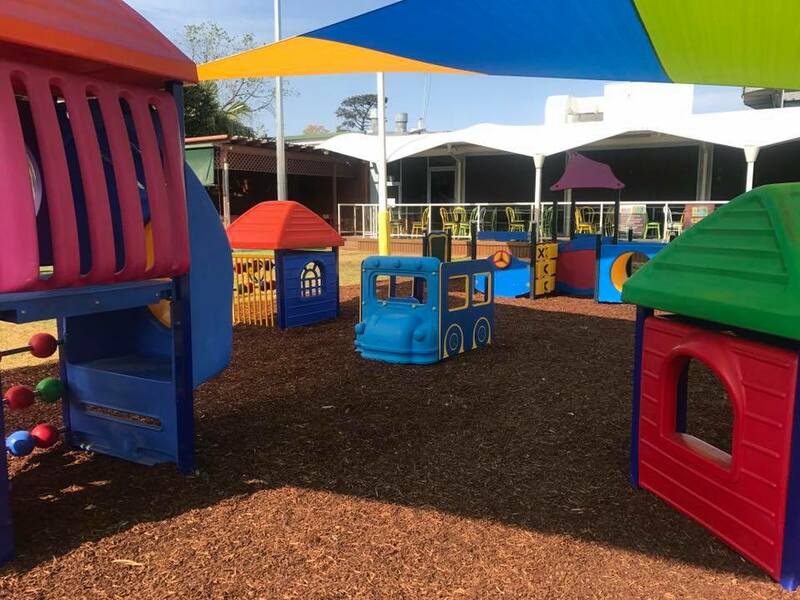 The play area is currently being renovated. The new play opened in 2017. 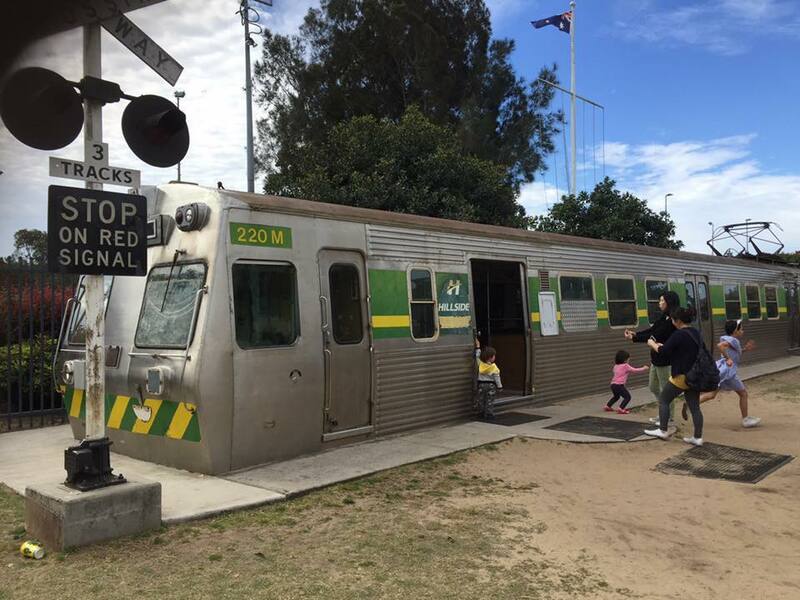 There’s free kids entertainment every Sunday 1pm to 3pm. 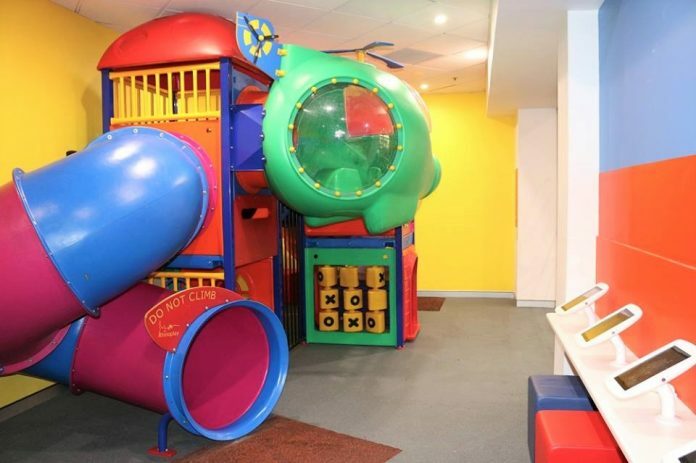 The fab indoor play area is perfect for kids 3-8yrs. 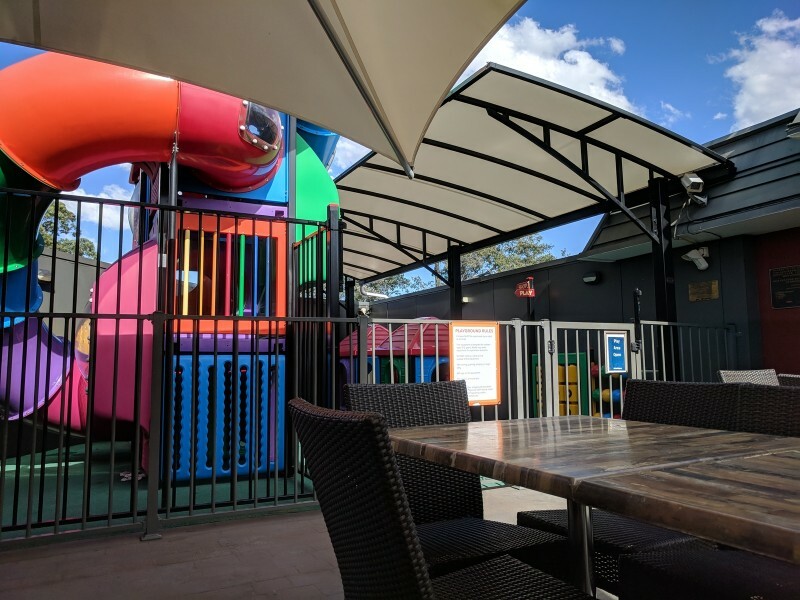 Kids eat free on Sunday until 6pm. And there’s a $9.90 kids meal deal everyday. Kids eat free on Monday and Tuesday nights. 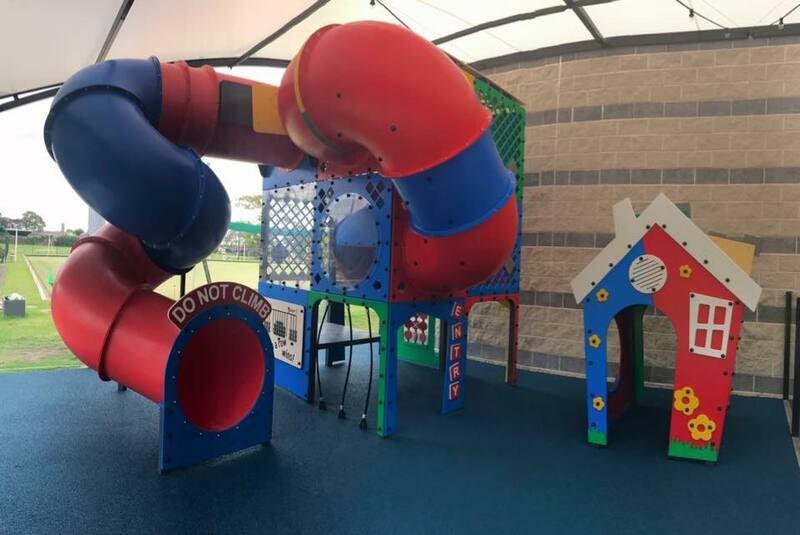 The play area has three spaces. 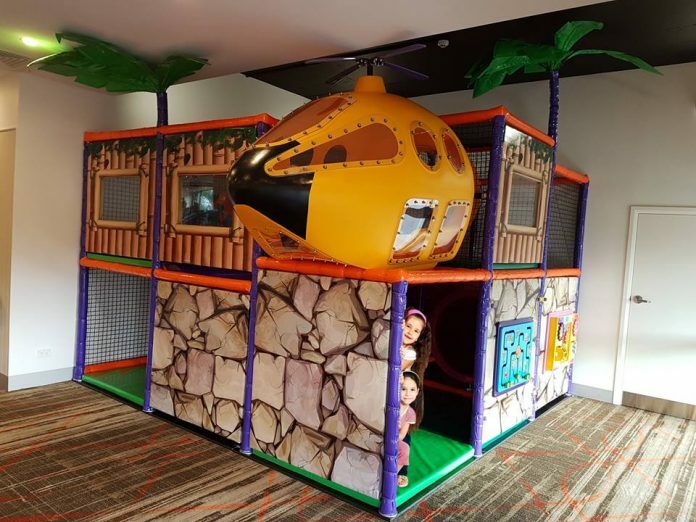 A room for under 5s with a small slide, tv and foam shapes. 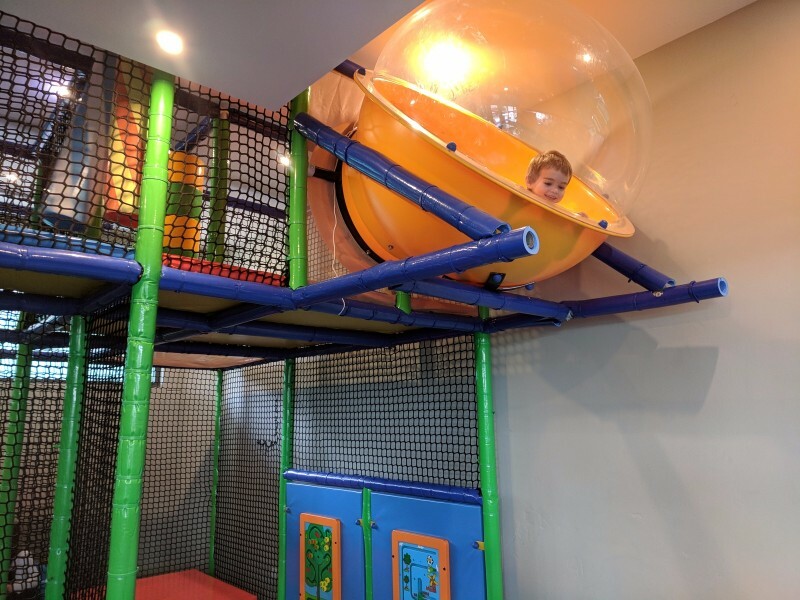 Another room for 6-10yr olds with a climbing play gym. 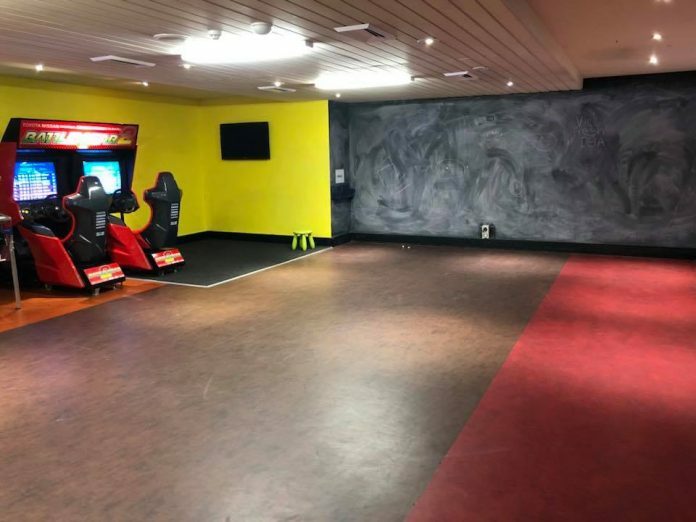 Plus arcade games in front of the play rooms. Tribal Zone, the kids play area, is open Monday-Tuesday 5:30pm to 9:30pm and then Wednesday to Sunday from 11am to 9:30pm. During school holidays it’s open daily from 10:30am to 9:30pm. 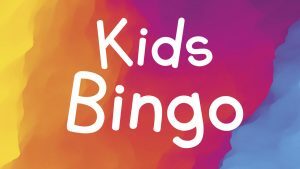 Entry is $6 per child for 2hrs and includes them being supervised. Kids eat free on Monday and Tuesday nights. 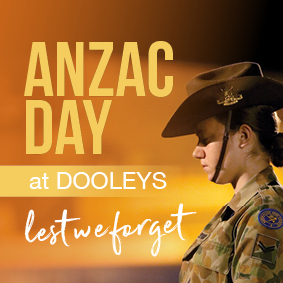 And there are $11 lunch specials, which would be good for a mothers group catch up. 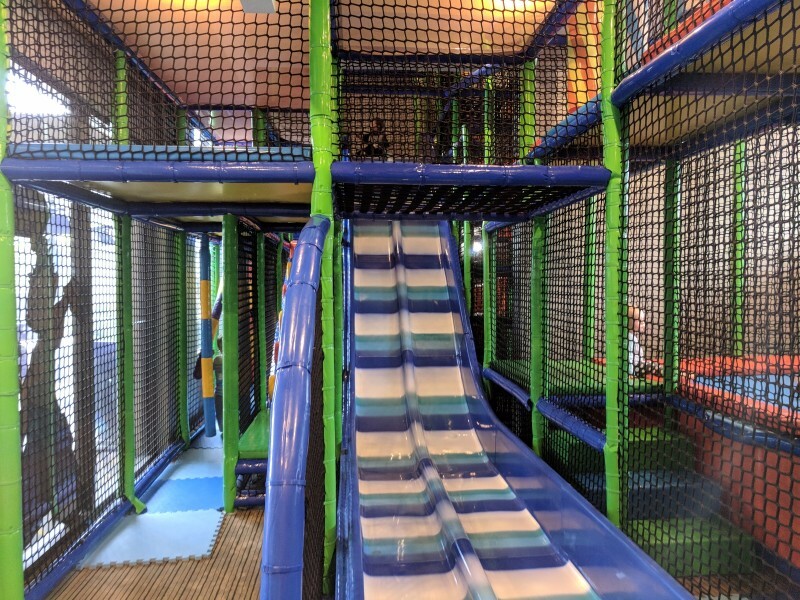 There are two small play areas – one with a climbing play gym and slide and the other with a tv. 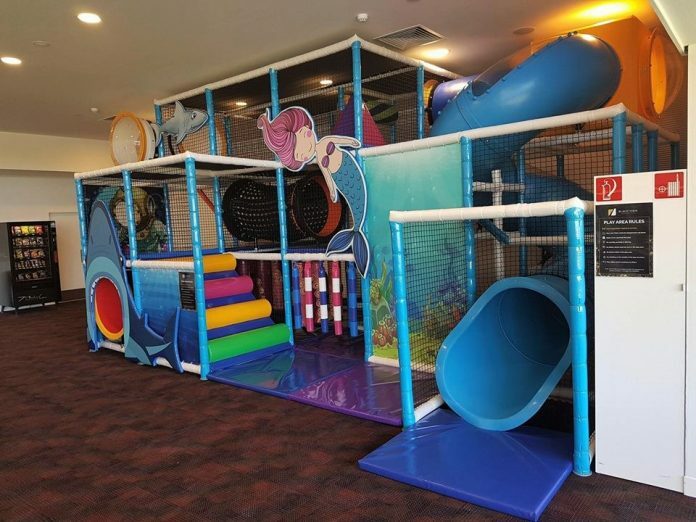 There is also a great big fish tank in reception that the kids will love. 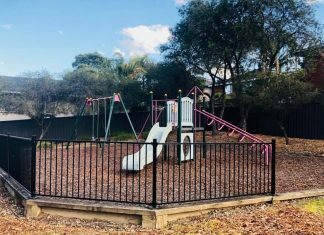 The new bistro Table 2164 has a new kids play area that opened late 2018. 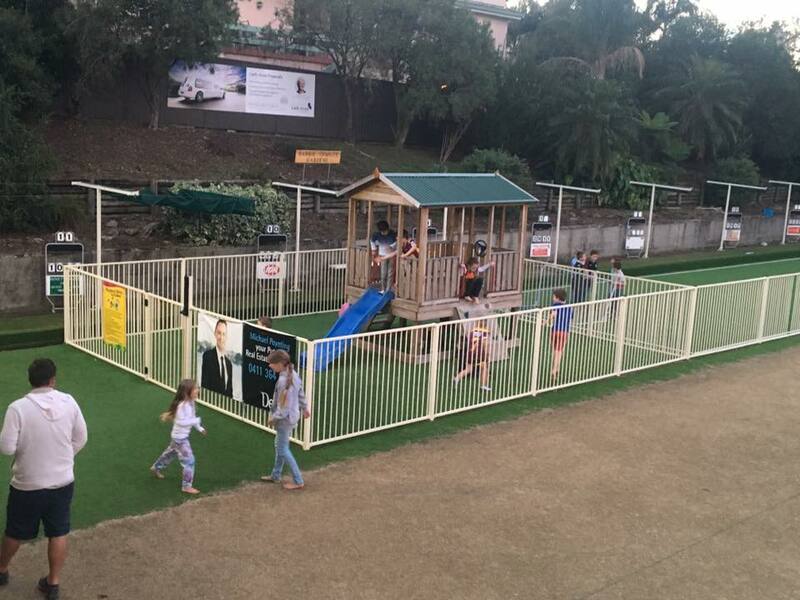 The bistro at Birkenhead Hotel has an enclosed play area (behind clear walls), with a climbing play gym and slide. Plus, there’s a large bucket duplo blocks and other toys to keep little ones occupied. 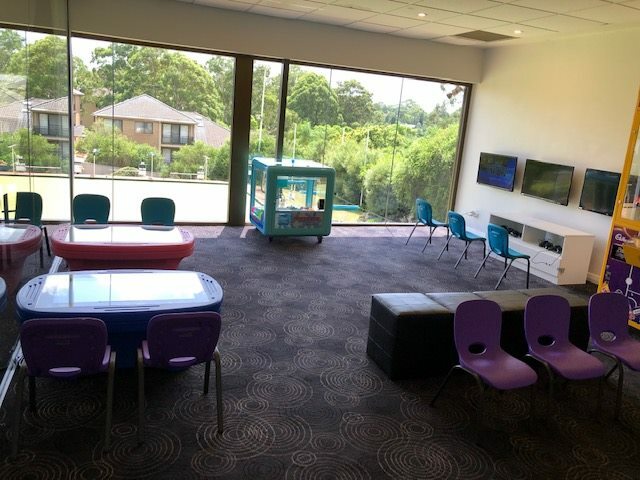 The Hills Club opened their improved kids games room in February 2019. 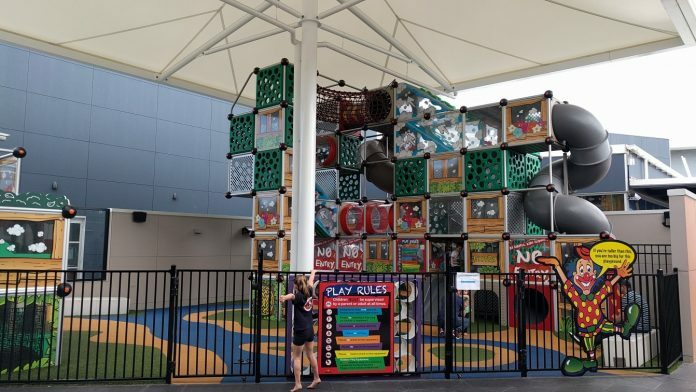 It has 3 X-Boxes, and 2 giant touch gaming tablets, plus toys and space for the kids to play. And kids eat FREE on Sunday’s. 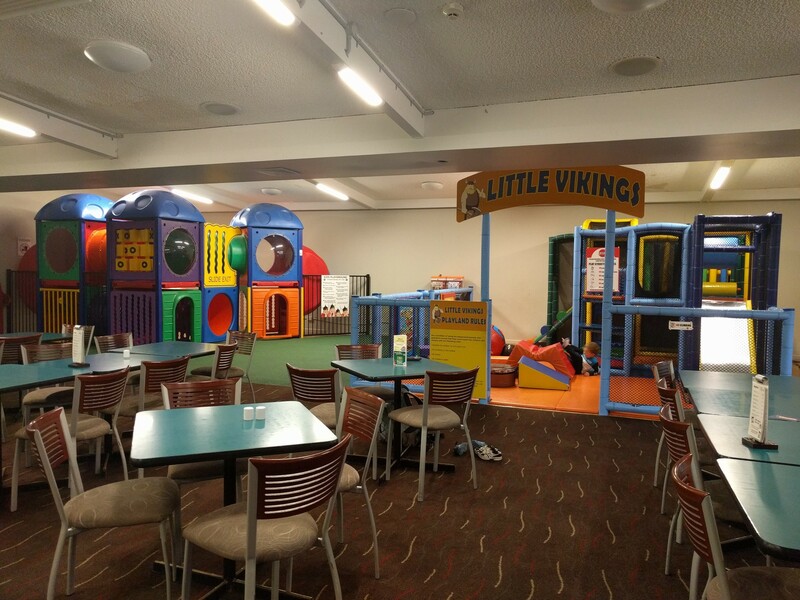 Kids have their very own Little Vikings area next to the bistro. 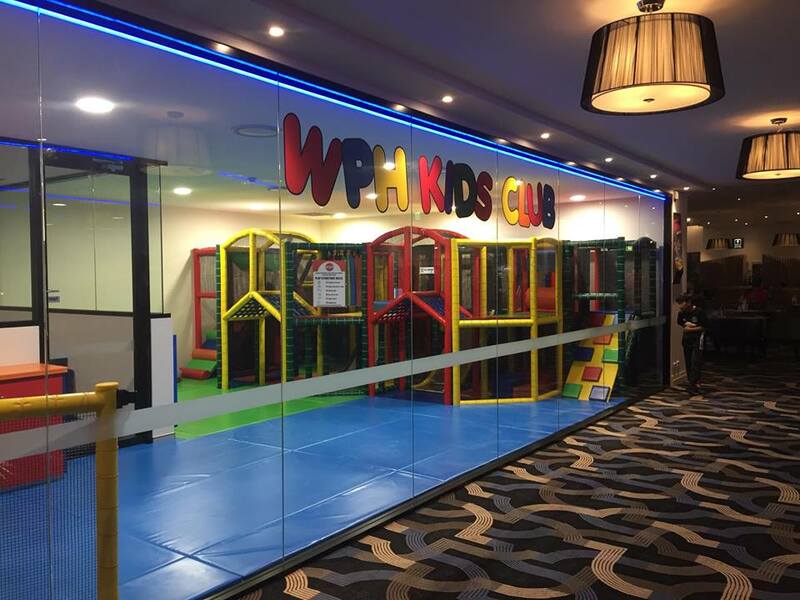 It’s one of a few clubs with a play area suitable for toddlers – just go early for dinner when there are less older kids around. Kids eat free on Monday and Tuesday nights. 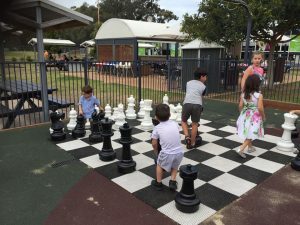 The BIG new kids play area finally opened on 11th February after about a year of renovations at Wenty Leagues. 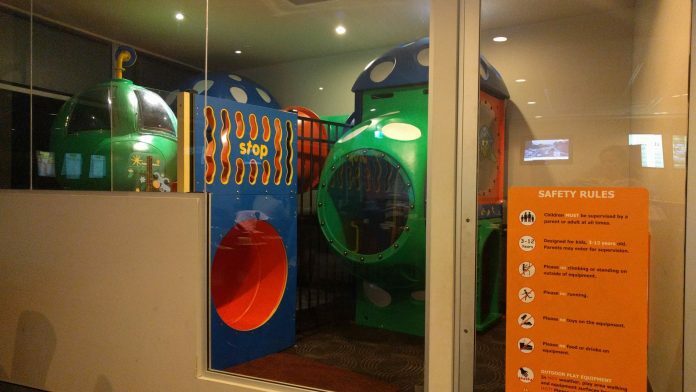 It’s about 3 times the size of the old one, has two party rooms and large parents room next door. 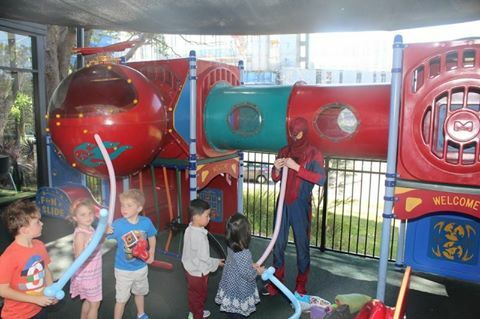 And there’s still free kids entertainment every Tuesday from 9:30am to 11:30am. 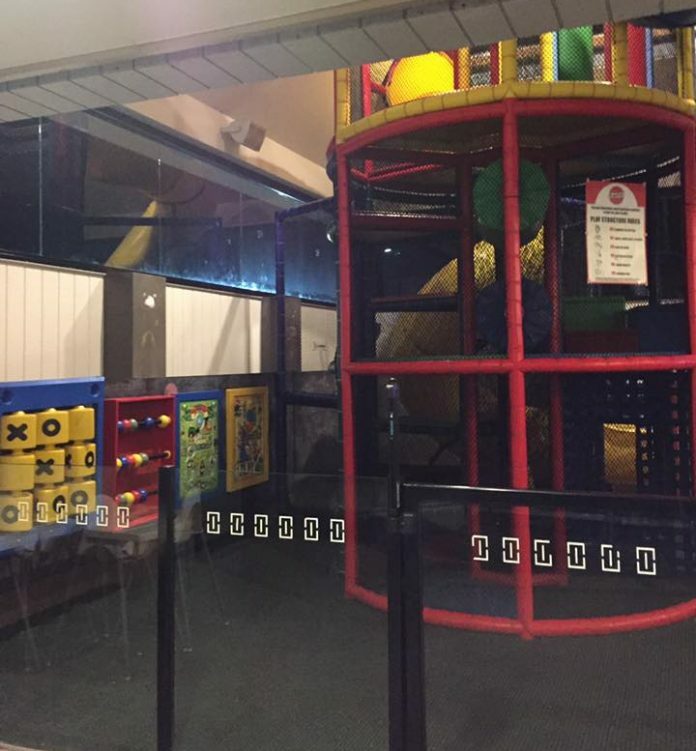 Children 12 and under eat free from the Kids’ menu with a paying adult on Tuesday nights. The Garden is one of three dining options at Wests Ashfield Leagues Club. 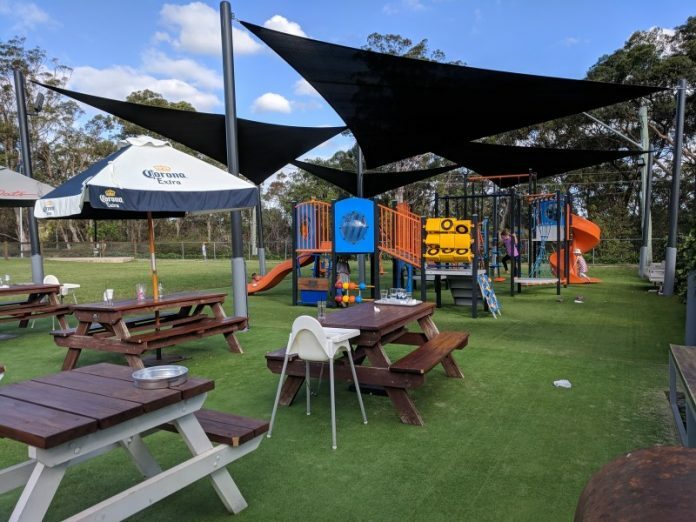 Inside this garden style restaurant, there is a play area with a chalk board, building blocks, connect four, table soccer, chess and various other activities to keep the kids busy. 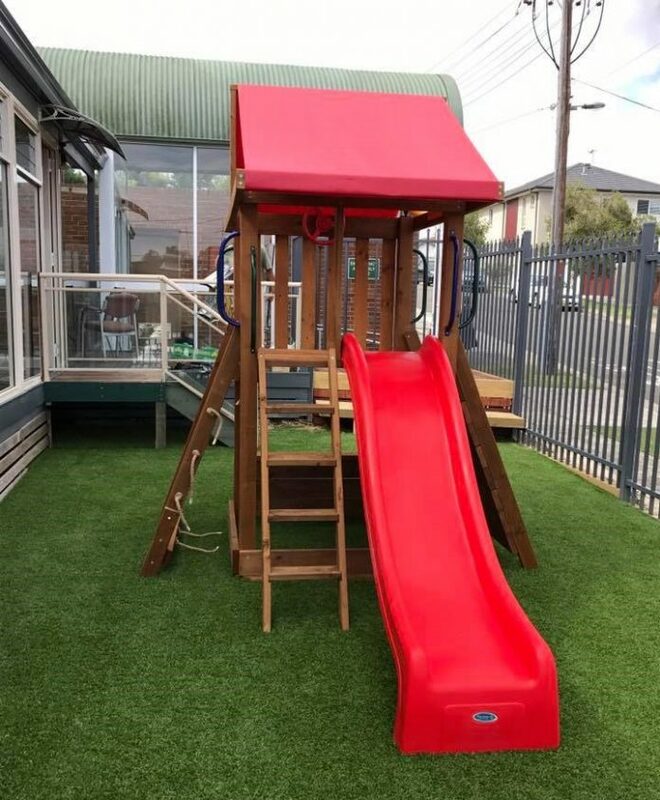 So not your traditional climbing play gym. 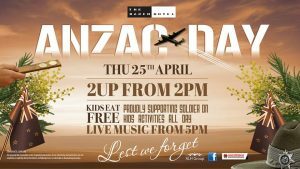 There is free kids entertainment and meals every Tuesday night. 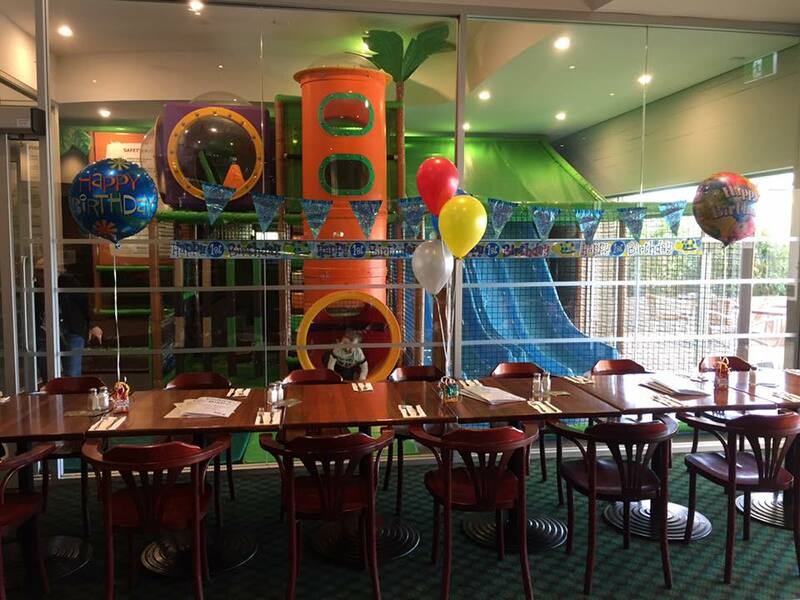 Kids eat free on Sundays and there is a kids entertainer every Sunday from 1pm to 3pm. Every Tuesday during school term, there is a baby brunch. And kids eat free on Tuesday evenings from 5:30pm to 6:30pm. 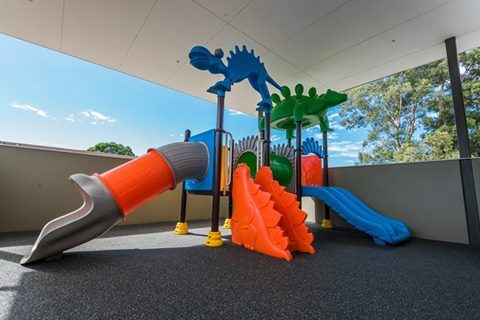 There’s weekly fun and entertainment for kids every Tuesday from 11am to 2pm in the Courtyard. And all kids meals in the Courtyard Restaurant come with an ice cream and activity pack. All coffees are just $1 before 12pm everyday. 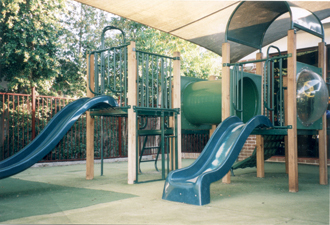 The outdoor, covered playground can be seen from a lot of seating inside and out. 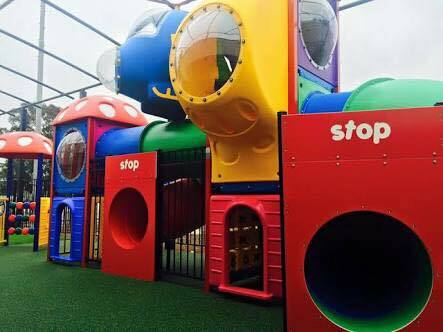 There is a jumping castle, rocket ship, rock climbing wall, small climbing play gym and spinning disc. 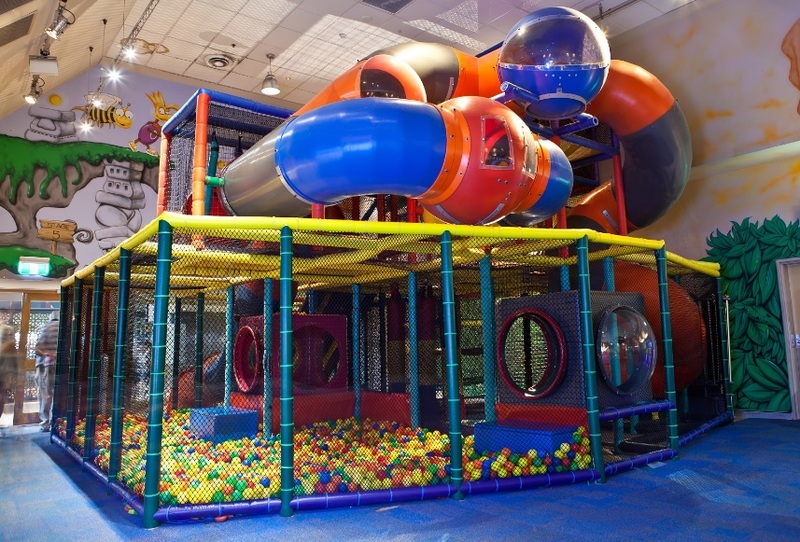 There is also a kids entertainer on Saturday and Sundays from 12:30pm to 2:30pm. Get a FREE kids meal with every main meal purchased on Saturday nights. They have a little and big kids menu. Plus a flying fox and lots of other fun play equipment. 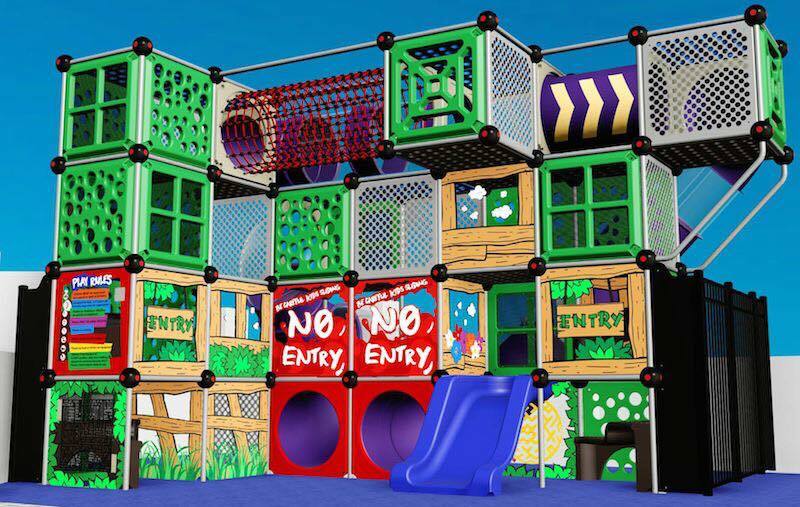 There is free kids entertainment every Sunday from 12pm. And there’s a FREE kids meals available with any meal purchased over $15. 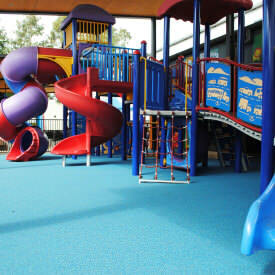 Plus kids will receive a free glass of soft drink and activity bag. 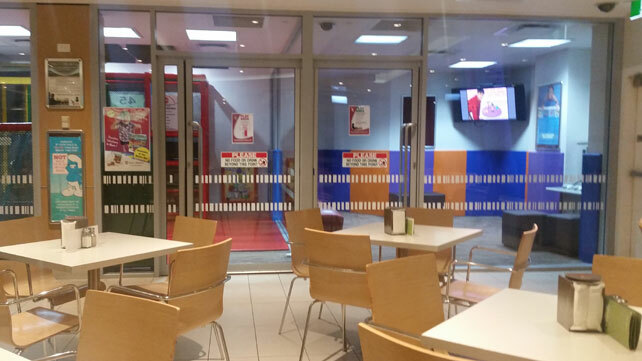 Puchase an adults meal and you’ll get a FREE kids meal on Sunday, Monday and Tuesday, includes an ice cream. 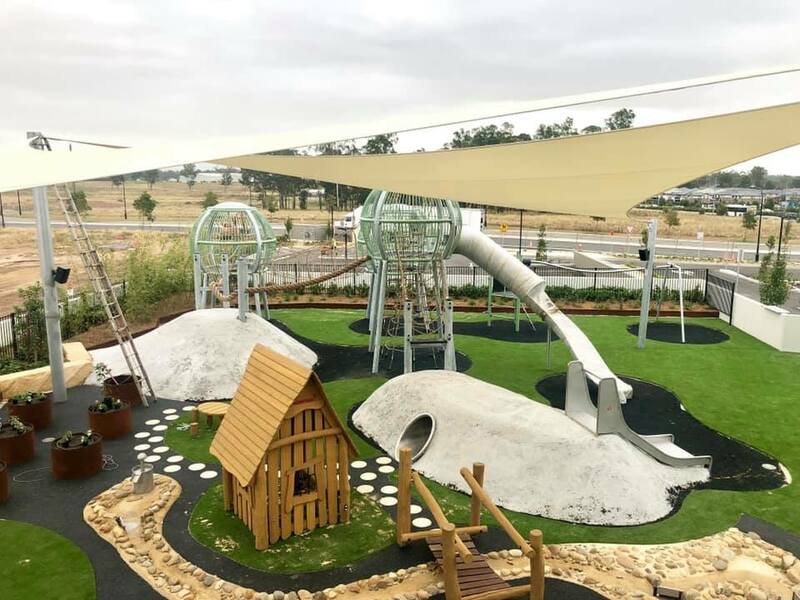 The new ‘backyard’ opened in 2017, with one of the bowling greens being turned into a kids play area. 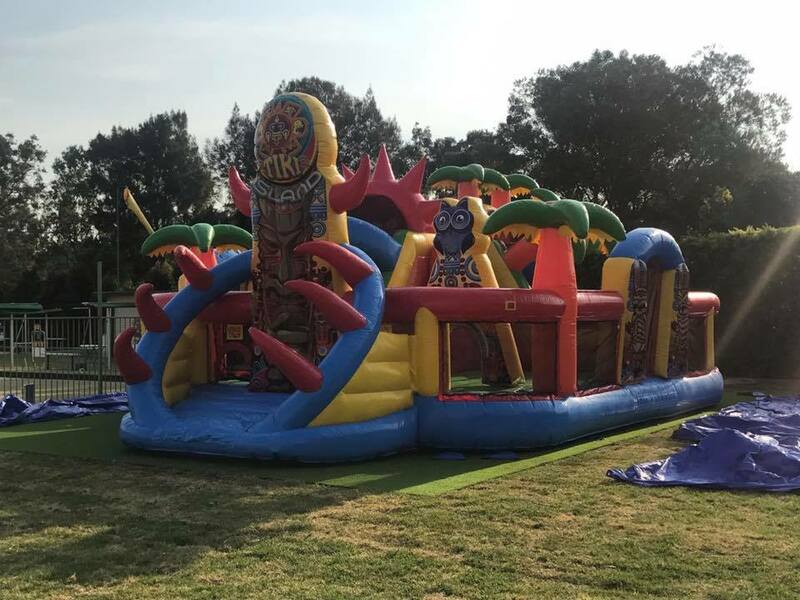 There is a very large jumping castle for older kids (weekends and school holidays) as well as cubby houses and climbing play gyms for little ones under a shade cloth. 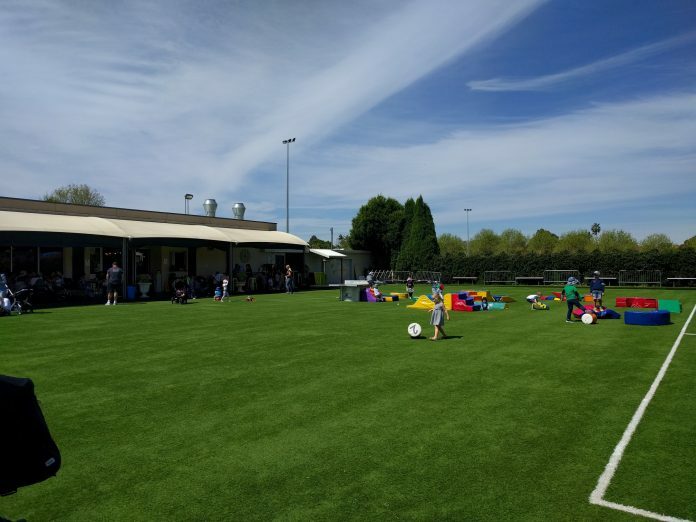 Plus there is lots of grass to run around on. 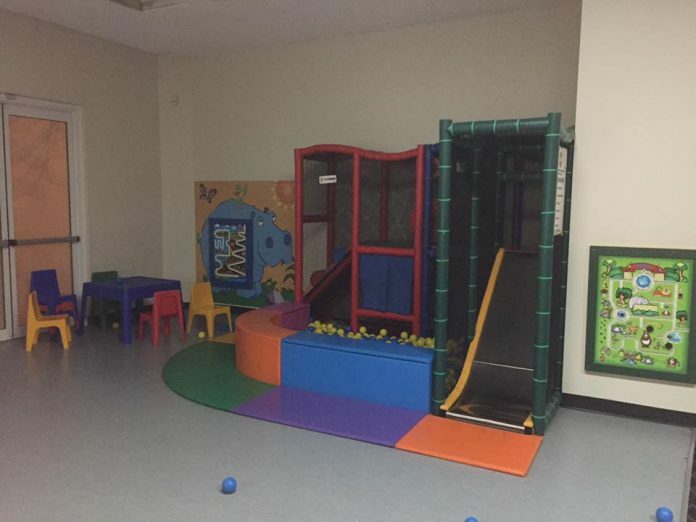 The play area is within sight of seating and near the Bistro. 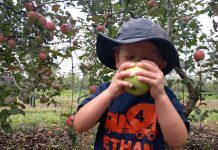 Kids eat free on Thursday evenings. Kids eat free on Monday nights. Every Tuesday and Wednesday from 10am till 2pm is Mums & Bubs Day. They have a deal on Sundays where all kids meals are $5. 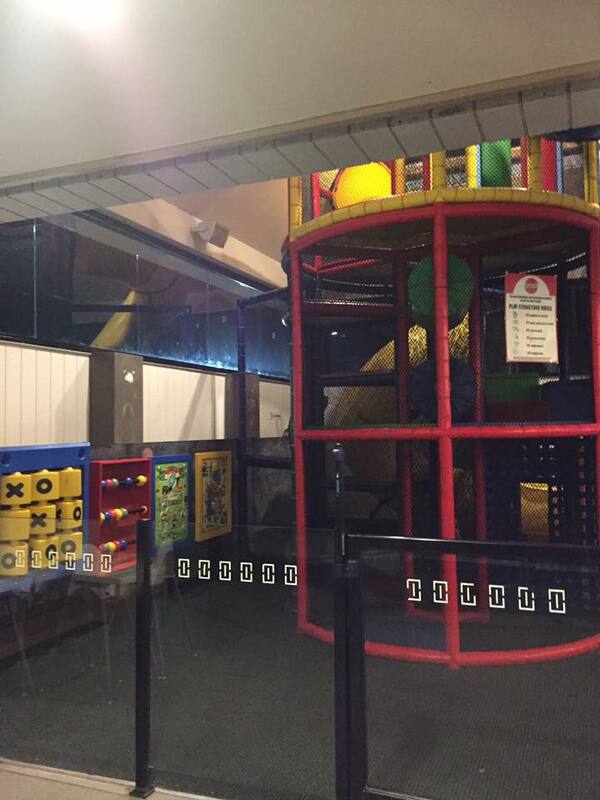 Kids Eat Free on Sunday nights and a clown is there from 6:30pm to keep the kids entertained! 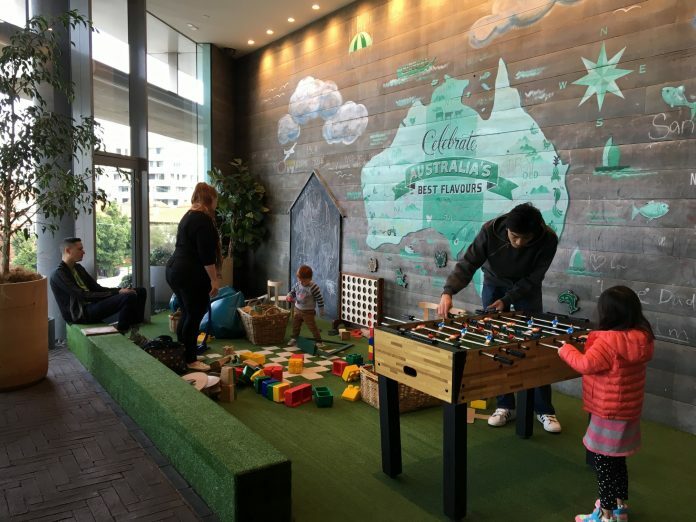 Kids eat free during lunch on Saturdays and Sundays. Free kids entertainment every Sunday 12pm to 3pm. New play area (opened March 2018) is enclosed and the equipment is best suited to kids 4yrs+. 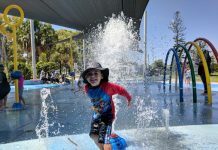 Here are upcoming kids events and activities at some of the local clubs and hotels listed above. 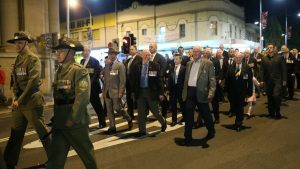 Wreath laying and dawn service at Auburn Memorial Park. 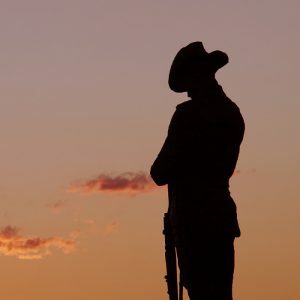 Wreath laying and dawn service at Granville Memorial Park. 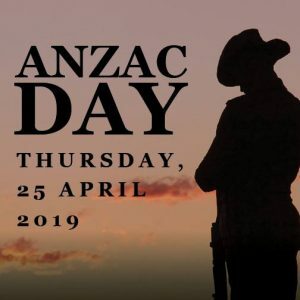 Followed by breakfast at Granville RSL. 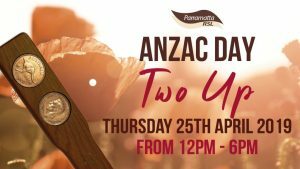 Flip the coins at our 2Up ring in the Parramatta RSL auditorium from 1pm. 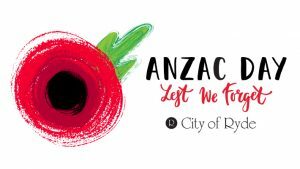 SOURCEArticle originally published in January 2017, with help from local mum Dana.